Posted on August 25, 2010 | by TRIP! Can you hear that sound? Leaves rustling in the trees, maples on the verge of turning orange,yellow and red, the earth slowly moving towards another season. There goes time slipping away from us like sand between our fingers. It’s nature conspiring against us. The Kool-aid dude drinking beer on the flyer is really cute, but that isn’t the only reason you should go ! Wasage beach is a beautiful location and why not kick back with friends at the beach in between partying ( but don’t go swimming intoxicated! ). The line up includes Ill Scarlet, Scratch from the Roots as well as DJ Barletta. This party is being thrown a beloved TRIP volunteer and friend of ours, Mike. We love Mike! And we love it when people throw parties it Toronto. 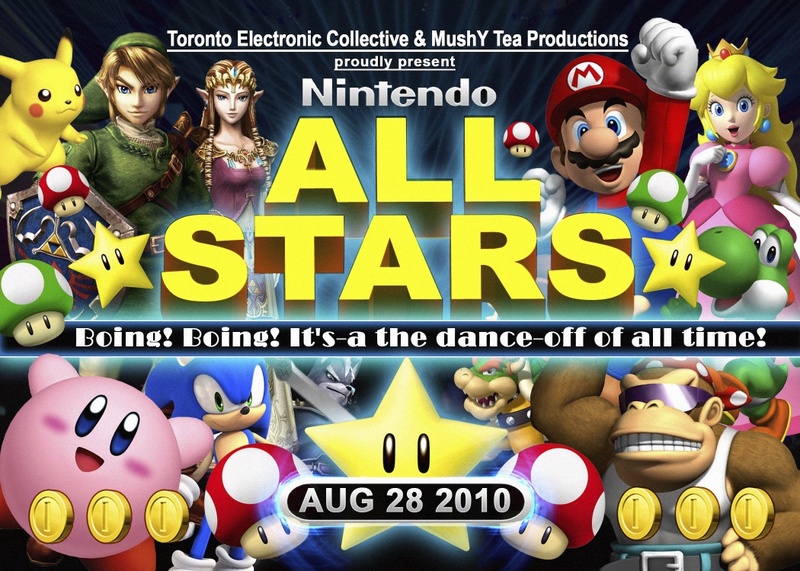 Come dress as your favourite Nintendo all-star and dance the night away to choons played by DJ S3RL ( Australia) and KandyKidAssasin (KS, USA). 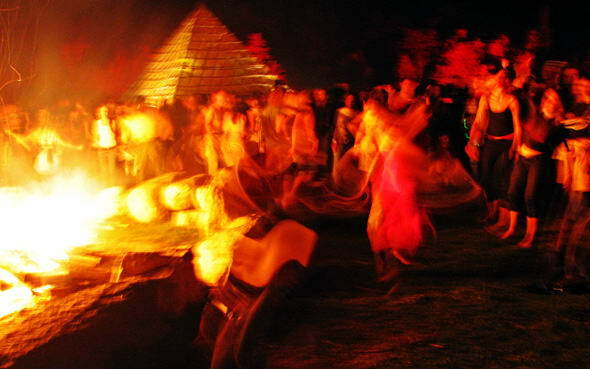 Harvest Festival is an annual two-night autumn festival celebrating the autumn equinox. At the hub is a huge bonfire, there are three sound stages featuring techno, downtempo and psy-trance and a kitchen cooking yummy things all night long. The festival is located on an expansive farm of rolling hills and valleys with some 97 massive sculptures, 4 large ponds, a castle home complete with turrets, and unusual farm animals like white doves, llamas, peacocks and geese wandering freely. And from the sky all the elements of the land link to form the shape of a 2km long dragon. It sounds awesome because it is.